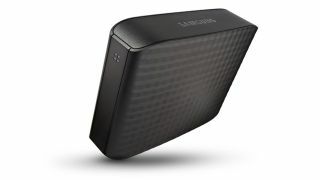 External hard drives are now relatively inexpensive, and make for easy backup solutions. Once upon a time, backing up one's computer involved little more than slipping a floppy into a disk drive. It was quick and easy. However, modern productions on today's machines push far more high-quality audio data to and from your drive. Copying gigabytes - maybe even terabytes - out to a backup medium takes a lot of time, and there's no denying that it can be a complete pain in the posterior. However, the good news is that, if you're running a Windows PC, archiving your musical projects is relatively easy, as you're about to find out. For a complete guide to backing up, check out Computer Music issue 204, which is on sale now. Step 1: If you use Windows, you already have an easy means by which to back up all of your work. Go to your Start menu, select Control Panel, System and Security options, then select Back up your computer. Now you can select from various options. If you've never created a backup before, you'll choose Set up backup. Step 2: It'll take Windows a few minutes to look at your system, after which you'll see a window with all of the possible destination drives on which you can back up your data. Windows will recommend the drive it thinks is most suitable. Here, we've pointed to an attached USB hard drive we've purchased for this very purpose. Select your drive and click Next. Step 3: Windows will ask if you want to let it decide what should be backed up, or choose yourself from your libraries and folders. Either way, your selections will henceforth be periodically saved to the selected drive. If you've never created a backup before, we'd suggest the former. It's that easy, so why haven't you started already? Get backing up!